With Ironbark 3PL Cold Chain Management & Distribution Software, you gain a total and streamlined control of the receival, storage, picking and dispatch processes from Warehouse to Point of Distribution. We provide a complete package for operating modern third party cold storage businesses. Warehouse activity is tightly integrated with the remainder of the system, enhancing service levels and reducing administration overheads. 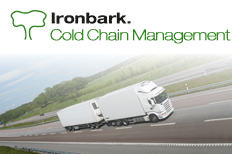 The Ironbark 3PL and Cold Chain Management software provide you with a whole-of-business solution to efficiently manage your business processes. For further information call Ironbark Software today on 1800 649 524!